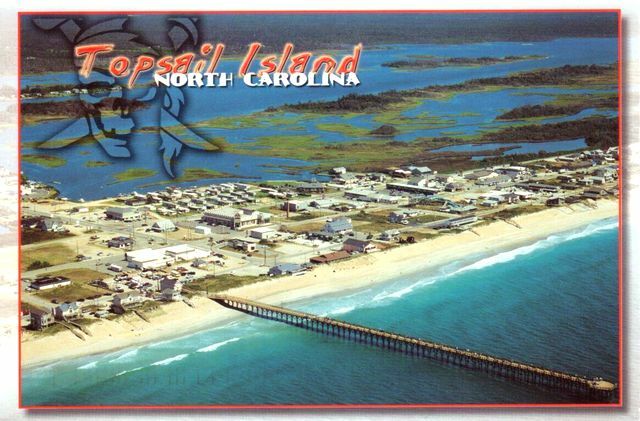 Topsail Island is a 26-mile (41.8 km) long barrier island off the coast of North Carolina, USA just south of Camp Lejeune, the Bogue Banks, and the Outer Banks. It contains the communities of North Topsail Beach, Surf City andTopsail Beach. Along with its thick maritime forests, Topsail Island is also a sanctuary for sea turtles and known for its beautiful beaches. The island lies in Onslow County in the north, and in Pender County in the south. There are only two ways on and off the island: the first is a high rise bridge on the North End and the second is a swing bridge into Surf City.